With Microsoft Dynamics 365 for Finance and Operations and OXID eShop, you can rely on two powerful systems for your e-commerce business. Offer your customers an end-to-end customer experience with unified commerce. Microsoft Dynamics provides a single platform for managing all customer interactions with a unified and consistent solution across channels – such as OXID eShop – and devices. Thus simplifies and unifies the shopping experience, whether online or in-store. 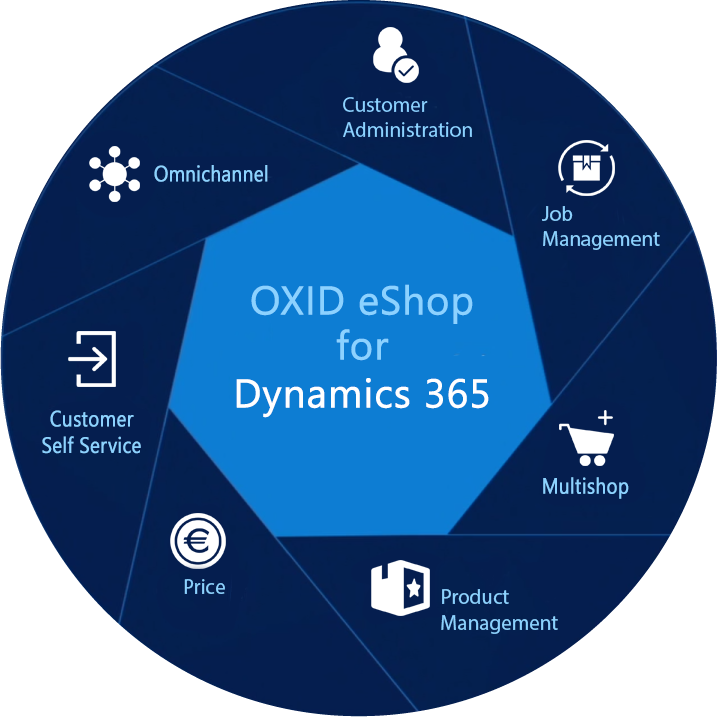 Use the powerful Dynamics 365 Retail functionalities and processes throughout e-commerce with OXID eShop. Seamless end-to-end integration to minimize disruptions and ensure end-to-end coverage. Your ERP business is already running successfully in the Azure Cloud. OXID eShop for Dynamics 365 in the Azure Cloud offers a high-performance, scalable and fail-safe platform for your business. Reduce your investment costs and pay flexibly only for the services you need. With the standard solution OXID eShop for Dynamics 365, we offer you a solution with which you are quickly productive. Nevertheless, you are entirely flexible to extend the solution to your requirements. Manage your shop as an online sales channel wholly and directly from Microsoft Dynamics 365. Whether B2B or B2C, you manage your customers centrally in Dynamics 365. Via the global address book, you assign your debtors and contacts to online channels. All e-Commerce orders are automatically processed in Dynamics 365 and transferred to logistics via standard processes. With OXID eShop for Dynamics 365, you can build and centrally manage any number of multi shops for your business. Manage product information, such as article information with variants, product attributes, product images, descriptions or categories, easy in Dynamics 365 and keep your shop always up-to-date. Especially in the B2B environment, customer-specific prices are elementary. All price variations from Dynamics 365 with price groups, individual and group prices, as well as discounts, currencies, graduated prices and validity taken into account in the shop. Via the customer portal, all information regarding order, delivery and payment status is available at any time and independent of the channel. With Dynamics 365, customers can generate booked invoices in real time directly in the portal. 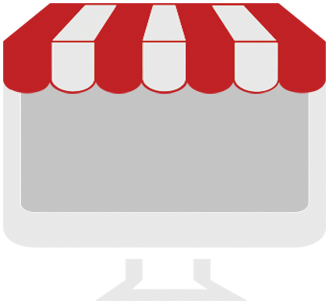 OXID eShop is one of Germany's number 1 shop systems and helps you to grow profitably. Design and functionalities can be individually adapted to your needs at any time. Personal contact persons and fast response times characterize the excellent support. Designed to implement B2B, B2C, Sales & Vendor Portal in a single solution. Operate supshops in your languages and currencies or with a particular assortment. Launch your products on the market within the shortest possible time and generate sales early on. By connecting the OXID eShop with Microsoft Dynamics AX 2012, a continuous process could be realized from the configuration of the products in the webshop to the direct transfer to production. Thus enables us to supply our customers with individual, custom-made and high-quality products in a short time. With Microsoft Azure, you can rely on a highly scalable cloud hosting platform that provides the required server resources at all times. System failures or overloads are a thing of the past. Rely on adjustable computing and storage capacities to cover unplanned peak loads (e.g. XMAS, TV or campaigns). Thanks to cloud resources, your unified commerce solution is always safe from unexpected outages and runs stable. Topics such as data protection, compliance and security are at the forefront of Azure. On account of the Security Center, you can detect threats early on. With Microsoft Azure's flexible cloud resources, you're well positioned to pay only for the server resources you use. With Microsoft Dynamics 365 and OXID eShop you can rely on two powerful systems for your e-commerce business. With the strong Unified Commerce platform Microsoft Dynamics 365 in the Azure Cloud or On-Premise with the products Microsoft Dynamics 365 for Finance and Operations, Microsoft Dynamics 365 for Retail and Microsoft Dynamics AX 2012, they form the basis for future growth and change in digital transformation. The successful e-commerce shop software from OXID eSales stands for highest performance, high ease of use and offers you a professional out-of-the-box shop for B2B, B2C and internationalization. Trust in Germany's number 1 shop system for digital transformation. Would you like to learn more about our Unified Commerce solution or request a demo? 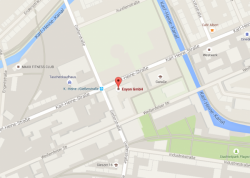 Please feel free to write us a message or contact us by phone. We are looking forward to your request without engagement. We are available Monday to Friday, between 8:00am and 5:00pm, excluding local national holidays.